ALLHAMDULILLAH… Eastern Arabia CC has changed history finally in the finals of Al-Turki T20 Super cup. Finally we have stood up to the challenge where we had failed earlier. We have stood up to ourselves, to our sponsors and supporters beating KLV Khodari Khan 11 in the finals in a dominating way. April 21st, 2017. The Finals was played in the afternoon. As usual once again toss was won by Eastern Arabia captain Imran Rasheed and selected to bat. Surjith and Niyaz Opened the innings. KLV Khodari Khan 11 pacers were right on money. They used both the ends very well. Salman charged in started the innings bowling against the wind with his swinging deliveries and Aziz attacked with the wind. KLV Khodari Khan 11 were on the top claimed the top 3 wickets for 28 runs. Captain Imran and Shijil were at the crease and they started to build the innings slowly and build a strong match winning partnership of 90 runs which was broken in the 13th over. Captain Imran was out on 39 (25 balls). Afwan stepped in and rotated the strike running hard between wickets. KLV Khodari Khan 11 had to stop the run flow. Ali Rizwan took in-charge to ball against the wind to control the run flow and got the valuable wicket of Afwan. Next in was the In-form batsman Naushad who played the cameo to score 32 (16balls) and stayed not out. 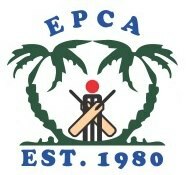 Eastern Arabia CC gave a target of 192 runs. KLV Khodari Khan 11 did not give away easy runs. 191 runs was the team effort which Eastern Arabia CC earned it. Now it was the time for bowlers to stand up to the task and give their team the much awaited victory. The team filled with spinner and just one fast bowler. Ashraf Mukka the power-play power-pack bowler was introduced to ball the first over. Right from the 1st over Eastern Arabia made it clear to KLV Khodari Khan 11 that this final would not be easy for them and they will have to show their true skills to get those runs. Ashraf Mukka gave the 1st break through getting the wicket of Murad. The leggy just went sliding through the strong defense of Murad thrashing into the stumps. The reliable Nadeem stepped. Nadeem and Safdar started to build the innings for KLV Khodari Khan 11, but Eastern Arabia had done their homework this time. To win big games you have to be focused and keep your cool. Even though Nadeem and Safdar did not lose their wicket, EA made sure run the score book never ticked just increasing the run rate and building the pressure on KLV Khodari Khan 11 and forcing them to play big shots. The Plan worked and Safdar fell for Surjith who was caught in boundary by Muzahir. Eastern Arabia were right on top and dominating the game and from then they never let KLV Khodari Khan 11 to take the lead. KLV Khodari Khan 11 tried their best to cover up the run rate but EA bowlers never let it to happen and kept taking wickets at regular intervals. KLV Khodari Khans-11 needed 47 to score in the last two overs and the crucial 19th over was bowled by Shijil just giving away 10 rums. KLV Khodari Khan 11 needed 37 runs in the last over which was tough but not impossible. Match is not over until it’s over. Captain Imran bowled the last over and the plan was to ball right at the block holes which was done. KLV Khodari Khan 11 lost the match by 18 runs. MoM – Shijil Ahmed who made a valuable 61 runs and took 1 wicket, given away 24 runs in his 4 overs. Partnership of 90 runs between Imran Rasheed and Shijil Ahmed. The run out of Yahya by our ever green Keeper Mohammed Ilyas. Surjith taking the 3 big wickets of Safdar Nadeem & Salman. We take this opportunity to thanks EPCA for giving us this platform to play and show our talent and make our dream come true. We thank you for the immense support and facility you have provided us. We also thank all the umpires for the efforts they put in for all teams to play as per rules and make this game exciting and lively. Thanks to all our sponsors and supporters. Finally we have made our dream come true.